South Africa is most often the first ‘go to’ place for an African Safari. Blessed with a year round great climate, its still good to know when the best time to visit South Africa is. What better way to spend your holiday time with family and friends – from incredible wildlife experiences in the world famous Kruger National Park, the rugged Drakensberg escarpment and the tropical waters of KwaZulu-Natal to cosmopolitan Cape Town and the picturesque Winelands. In South Africa you can be gazing in awe at a lion in the Kruger Park in the morning, and by the end of the day be sipping on a glass of South Africa’s finest merlot in Cape Town’s beautiful hinterland. South Africa literally boasts a world in one country! Such diversity in geography, habitat and wildlife at this southern tip of Africa also means a varied climate. Africa Travel Gateway’s tours and safaris are designed to offer traveler’s a great variety of the best sights and experiences that South Africa has to offer. We take care of all of the hard work - you just relax and enjoy your holiday. 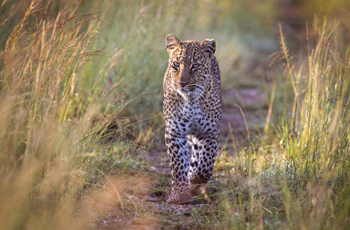 Browse through our selection of South African tours and safaris below which we update regularly. Our packages, which can also be linked together, offer great combinations of safari, beach, historical, cultural, adventure, city and winelands. Africa Travel Gateway will take you on amazing safaris in the Kruger National Park, wow you with incredible vistas along the Panoramic Route and Garden Route, let you unwind on the pristine beaches of Mozambique and entertain you with the fascinating city sights of Cape Town and Johannesburg. We also ensure you have plenty of time to enjoy the finer details, such as exploring Swaziland’s craft markets, learning about the remarkable history of Soweto and Robben Island and tasting South Africa’s finest wines in the Cape Winelands. Browse through our South Africa tours and safaris below, and if you are looking for something a little different just ask us to tailor-make a South Africa tour or safari that meets your specific requirements. Alternatively you can read more about travel in South Africa. In 7 luxurious days, our Cape Town & Safari Honeymoon offers couples the ultimate blend of intimacy, romance and adventure! Indulge in our Cape Town, Zambia & Safari Honeymoon for 10 days of luxury, romance & adventure! Make magical, memorable moments on our 12 Day Cape Town, Safari & Mozambique Honeymoon! During the anguish of Apartheid it became a kind of obscene Alcatraz for those that threatened the government of the day ... this is Robben Island .. There is a room in the bowels of the Ditsong Natural History museum in Pretoria. A secret room filled with treasure. It has a fairly innocuous name. In fact, to the casual passer by…it might be mistaken for a storage closet containing a janitor’s cleaning supplies. An interesting comparison exists at three notable crossings of the twenty third parallel within this phenomenal portion of Africa. They call it The Tropic of Capricorn…a line of latitude passing through Mozambique, South Africa, Botswana and Namibia from Indian to Atlantic Ocean and defining the southern edge of Africa’s tropics. The northern and western Cape interior is arid and desolate, but carries its own charm in its expansive flatlands. What is it about that early morning and late afternoon light on safari? Even Shakespeare was inclined to write “I speak of Africa and golden joys”. Rhino poaching in Southern Africa continues, and now elephant have joined the dying. 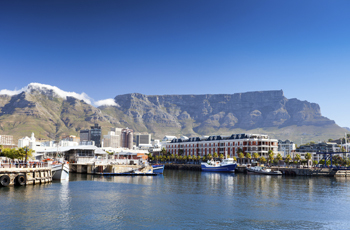 This handy guide to Cape Town's climate and seasonal variations will get you on the fast track to visiting one of the world's most breathtaking cities! Cape Town's natural beauty and welcoming ambiance captivates even the most seasoned of travellers...in fact, some never leave! Kruger National Park is an African icon providing vital sanctuary for an enormous diversity of plant and animal species unrivalled elsewhere in South Africa.